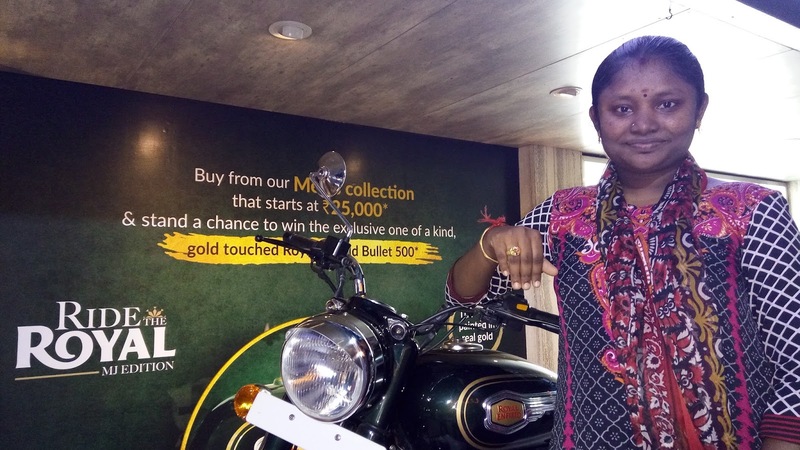 Last weekend I went to Mehta Jewellery to write a blog post in connection with their contest on men's jewellery collection for which they are offering a brand new Royal Enfield as prize! 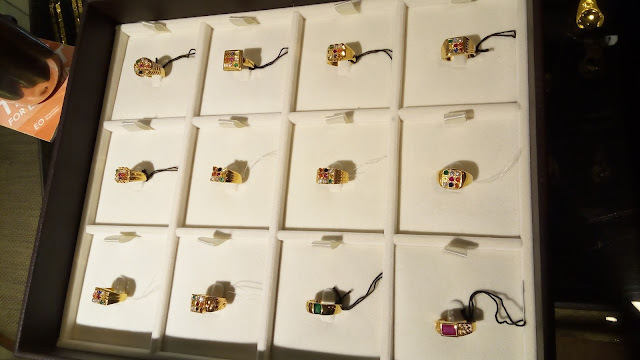 !.As a part of their men's collection, they had chains, zodiac pendents, gold plated watches, bracelets, rings, cufflinks, etc. These ornaments are both for regular daily use or for occasional usage during functions. I liked the Ring made with gold and pure navaratna stones. It looks pretty. I liked that the most because it had all nine stones which, I feel, brings good luck. I trust such sentiments because I feel good time will change everything. Before starting some important work, we should consider starting it in a good time as it will enable success. Similarly, I feel that this navaratna ring will also bring good luck. I would like to give this to my husband because I wish good luck & good time will follow for his various endeavors. Besides I also have this fantasy to look at my husband dressed like a Minor in old Tamil films (Silk shirt, Silk Veshti, Thick and long chain - 2 or 3, Large Pendent, Watch, Bracelet, Navarathina ring, and big gold rings for remaining fingers). Speaking about bikes, readers please note that Mehta Jewellery is holding a contest and is offering a Gold touched Royal Enfield as the prize. To will this special edition bullet all you have to do is - Shop for Rs. 25,000 or more in the men's section of Mehta Jewellery, Take a selfie wearing the ornament in front of the bullet outside their showroom. Share it in social networks and get maximum possible likes and shares. That's it! This blog is written for “Ride the Royal” contest organised by Mehta Jewellery for their exclusive men’s collection. - Visit www.mehtajewellery.com and browse their other collections as well.